MEASUREMENTS: 6-1/2" x 6-1/2" (17 x 17 cm) when folded. 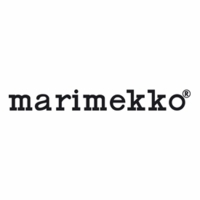 More about Marimekko Mini Unikko Yellow/Orange/Pink Lunch Napkins A light lunch on the patio is perfectly complimented with the sunny colors and playful poppies on the Marimekko Mini Unikko Yellow/Orange/Pink Lunch Napkins. 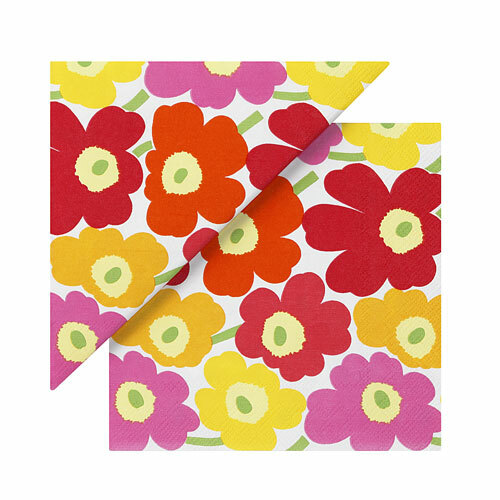 Hues of pink, yellow, red, and orange saturate Maija Isola's iconic 1964 floral pattern on this pack of 20 stylish squares. Printed with non-toxic, water-based colors on recycled tissue, these 100% biodegradable napkins are a more eco-friendly way to enjoy the convenience of disposable napkins. Whatever's on the menu for the day, it will only look more appetizing paired with these pretty poppies. Price is for set of 20 3-ply paper napkins. Printed with water-based colors on recycled tissue. 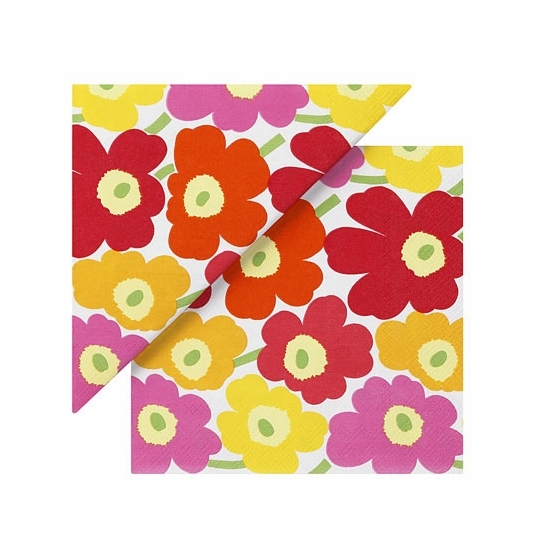 beautiful flowers and vibrant colors, will use with the black flowered napkins. using the napkins on everything! I received these within days of ordering, and they are not only beautiful, but the quality of the napkins is excellent. They are soft, yet strong. This happens to be my favorite pattern and the colors match my table dor for the spring and summer. Well worth the price!